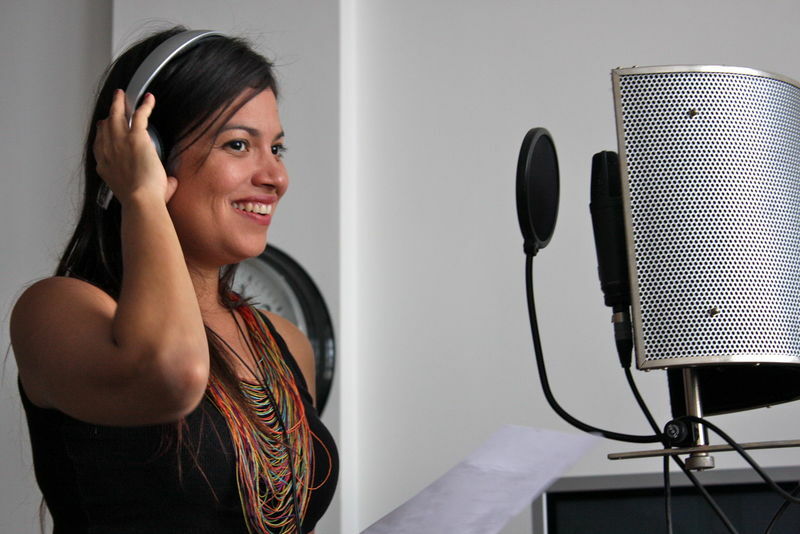 With a playful, attractive voice, Flávia Bittencourt, a native of São Luís of Maranhão, Brazil, is one of Brazil’s most highly praised new singer songwriters. Her cultural roots are present in the choice of repertoire that moves naturally between her compositions and those of songwriters from around the world. Her first CD 'Sentido' mixed pop, northeastern music, original songs and a wonderful voice, assuring her public and critical acclaim. One of the tracks 'Terra de Noel' was selected for the soap opera 'América', screened across Brazil on Globo TV in 2005. During the recording of 'Sentido', Flavia was joined by some of Brazil’s most active artists like Dominguinhos, Renato Braz and Quinteto em Branco e Preto. Despite the emphasis she places on the work of composers from Maranhao, like Josias Sobrinho and Zeca Baleiro, Flávia says that as an interpreter, she enjoys variety: “We have to sing all we want, everything that excites us, without being restricted by genre”. In March 2010, Flávia Bittencourt toured Europe, courting major TV and radio coverage along the way. Passing though Portugal, France, Italy and Belgium, she shared the release of her latest work 'Todo Domingos', devoted to her collaborator and musical hero, legendary Pernambucan accordionist, composer and singer Dominguinhos. In September 2011 she was back in Europe performing in Spain, Poland and the UK, notably in Birmingham at the Espirito Brum Festival. Flavia started as a student of pharmacy at the Federal University of Maranhão, only switching to her professional singing career in 1998. Her work has been very much influenced by the regional rhythms of her native state, Maranhão (as well as the whole Northeastern region of Brazil, the Sertão) often incorporating folklore such as the bumba-meu-boi and elements of the Feast of the Holy Spirit . Her first CD, 'Sentido' (Sense or Feeling; Som Livre 2005), was put up for a Latin Grammy and also won the Premio Tim Music Award. She has been highly acclaimed by critics for her voice, her interpretations of classic Brazilian songs as well as her own songwriting skills. Established musicians and composers such as Dominguinhos, Renato Braz, Quintet in Black and White, Luiz Melodia and conductor Laertius de Freitas have all been keen to work with Flavia. Currently living in Rio de Janeiro, Flavia has shared the stage with Zeca Baleiro, Adriana Calcanhoto, Luiz Melodia, Alcyone, Geraldo Azevedo, Dominguinhos and the Golden Age. In 2007, she participated in the project Samba Novo (Som Livre), which was attended by many of the new names of MPB. She's spent the last couple of years touring and promoting her second album, "Todo Domingos", dedicated to the repertoire of Dominguinhos, who also appears on the CD. "There are so many wonderful songs that was hard to choose", says the singer. Besides classics like "Lamento Sertanejo" , "Sete Meninas", "Toinho", " Abri a Porta" and "So Quero Um Xodó", there are also "Arrebol" and "São João Bonito". UPDATE (Jan 2013): Flavia has recently (end of 2012) released her new album "No Movimento" (In Motion). It features 11 tracks (4 written by Flavia), an appearance by Zeca Baleiro, and compositional contributions from the likes of Luiz Melodia and Pial who wrote especially for Flavia, Josias Sobrinho and the poet Ferreira Gullar.